One of my favorite people on earth — Apple, recently got engaged, so I've decided to dedicate my usual Friday Love post to her. She's like the coolest person I know and not to mention one of my oldest trusted friends, so I'm really glad her search for true love is finally over. These lovely photos are making me think of hot apple pie or something like that. I think I need to head out now to get some. Have an amazing Friday, everyone! 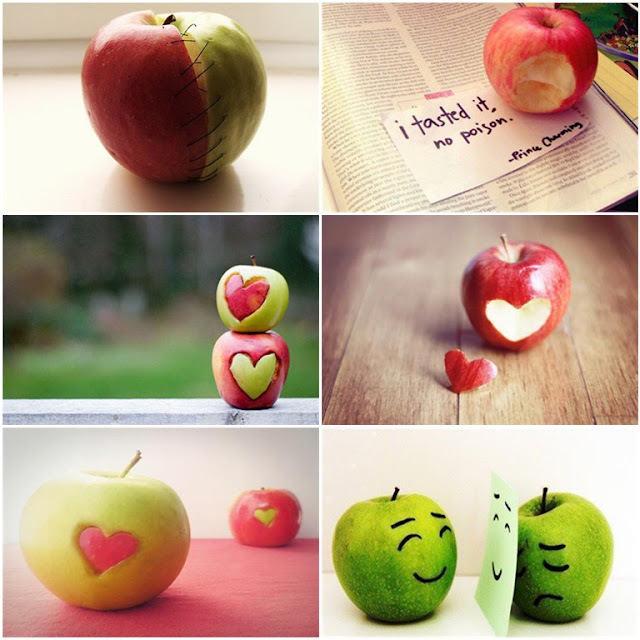 these apples is cute :D happy friday! So adorable. I think the prince charming one is my favorite.